Mark Chernoff is a graduate of Mason Gross School of the Arts at Rutgers University, New Brunswick. Mark studied under master musician Ralph Bowen, and through the years, Mark has interacted and played with many famous and influential musicians, such as Tom "Bones" Malone (from The Blues Brothers). Mark believes in a strong technical approach to every instrument he teaches, combining logic with intuition to create a unique player and soloist out of any student. 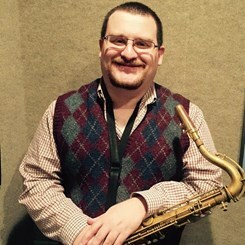 Mark Chernoff teaches saxophone and clarinet to students of all ages and levels, and looks forward to working with you!